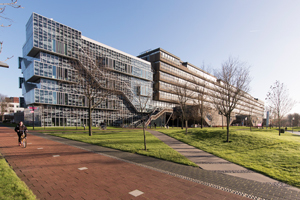 Many documents are gathered in the Virtual Knowledge Center Hydraulic Engineering of the TU Delft. In here PhD theses, publications, journal & magazine contributions and dictionaries of our department can be found. Also full list of previous and present professors of the department can be found in the Virtual Knowledge Centre, including links to their Inaugural and Valedictory lectures. In addition, ongoing projects are given per section. The projects and activities of all groups are conform the overall research program, which is given for two sub-programmes, respectively Hydraulic Engineering and Fluidmechanics. The Hydraulic Engineering research programme deals with the water-related societal problems, the research method, the education and the importance of this profession. Whereas, Fluidmechanics focusses on problems concerning waves and fluid flows, on small and large scale.The research programme of the department is executed in cooperation with external organizations and authorities.